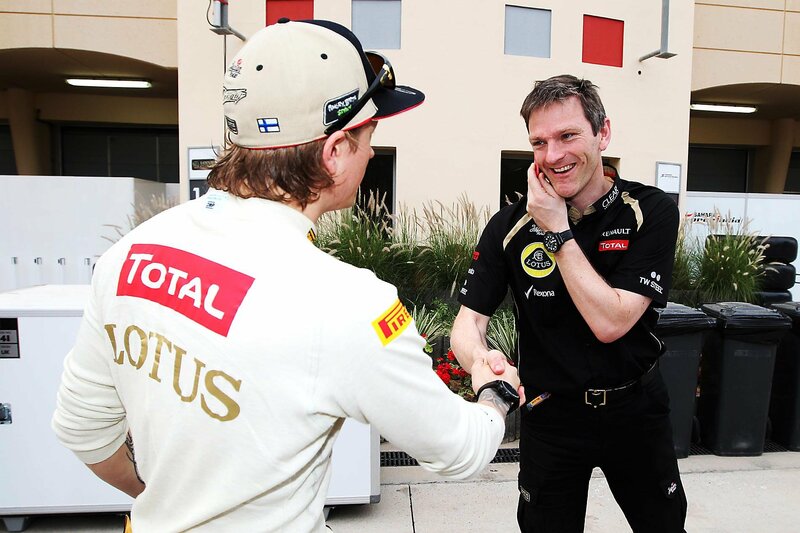 Lotus technical manager James Allison wants to move to another team. According to German Motorsport-Total -website, Allison is leaving Lotus. It’s expected that he will go either to McLaren or to Mercedes. Allison’s situation might be affected by what McLaren’s technical manager Paddy Lowe decides to do in the end. Lowe has received a tempting offer from Mercedes, but apparently MacLaren tries to keep him by offering him a raise. If Lowe goes to Mercedes, then Allison’s new employer will most likely be McLaren. According to Motorsport-Total, one of the reasons why Allison is leaving is Lotus-team’s poor financial situation. The website says that Kimi Räikkönen still has unpaid salaries from last season and that the team won’t reportedly get Honeywell as their new main sponsor after all. Allison is a respected aerodynamic-specialist who has worked in the current team from year 2005. He was nominated as technical manager in 2009. Allison has earlier worked in Benetton, Larrousse and Ferrari. Aware that losing someone of the talent of Lowe would be far from ideal at this stage of a season, and keen to ensure there is a Plan B in case it loses it man, McLaren has duly created its own short list of replacements and it no surprise to discover that top candidate is Lotus technical director James Allison. Now that Lotus is aware that Allison is being courted by McLaren (and most probably other teams including Mercedes as well), it too will now be pondering its recruitment options, and duly open the possibility of a team elsewhere losing its top man. What I wanted to say, don’t believe in another bag of rumors. The whole team would be now separated into hundreths of pieces if there were no money. That story about lack of money and salaries dates from summer 2012. From then the team had made (too) many contracts with sponsors and all kinds of partnerships. I mean… I really don’t know what to add… There’s simply no sense in these statements. If this team had ever had problems with finances, it was last year. James Allison is good engineer and he wants to compete. There’s less than two monts to the start of the season. The car’s are pretty much developed and ready for winter testings. There’s no sense for a chief engineer from top team to depart to another top (enemy) team. The E20 and it’s sucessor E21 were being developed in front of him. How he can left now? Again, all these rumors are written with no sense. Simple trash talk to fill the web sites and newspapers during calm off season break. I hope you’re right lol Lotus need him. Lotus technical director James Allison is staying put, claims an insider at the Enstone based team, despite admitting that Mercedes’ Niki Lauda came calling for the highly rated Briton. Last week, as the Paddy Lowe saga unfolded, we reported that Allison had been earmarked by McLaren as a possible replacement, in case Lowe jumped ship. Actually, the Lotus insider confirmed that it had been Mercedes’ Lauda on the phone. Moreover, “He also doesn’t want to leave,” the Lotus insider added.